The Tiong family from Sarawak in Malaysia owns and controls a vast network of companies across the globe. At the head of the family is Hiew King Tiong. His personal wealth is estimated at $2.7 billion.Hiew King Tiong started the corporate empire with a logging business in Sarawak and it now extends to include interests in timber processing, agriculture (cocoa and oil palm), aquaculture, insurance, banking, publishing, optical fibres, information technology, shipping, retailing, travel, real estate and property development, mineral and mining development and print media. In Papua New Guinea the Tiong family own Rimbunan Hijau (RH). RH dominates the local logging industry.The Tiong family has a number of business interests and investments in Australia. These include a group of companies (Landmark Investments, Landmark Projects, Landworth and Roxbrook) that are managed by Thomas Tiong and Kar Wai Chan. These companies own property investments that include the Harbourside shopping complex at Darling Harbour in Sydney and a number of agricultural businesses. Ultimate ownership of these companies rests with the Tiong family through their control of Deland Corporation. The Tiong family also controls a number of other companies including Westby and Sunray Nominees. Tiong's have interests in Mango's in Queensland through N.A.P Townsville Pty Ltd (based in Giru) and its ultimate holding company Burlington Corporation. Burlington is owned by Kar Wai Chan and Thomas Tiong. 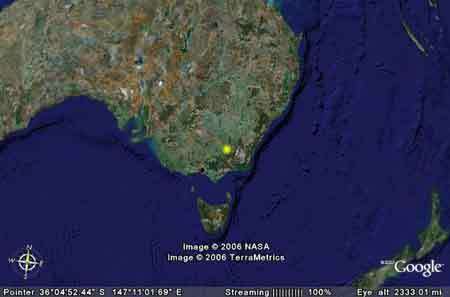 Approximate location of N.A.P. Townsville - based in Giru Queensland. 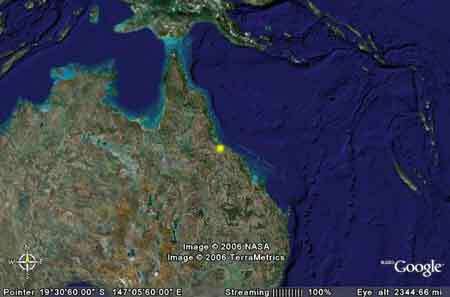 The largest Mango plantation in the Northern Territory, Manbulloo Mangoes Australia Pty Ltd is owned by M.C.H. No 202 Pty Ltd which in turn is owned by Thomas Tiong and Kar Wai Chan. Manbulloo Mangoes own between 30,000 to 35,000 Mango trees on land owned by M.C.H. 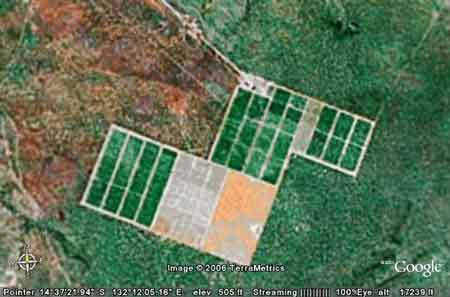 No 202 Pty Ltd, situated on approximately 400 hectares of land about 12km south of the town of Katherine. 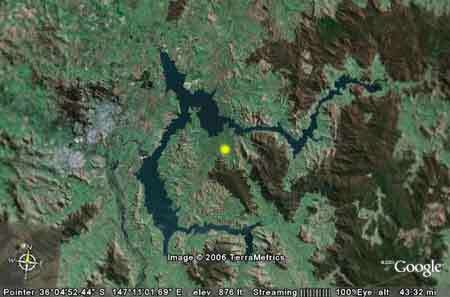 Manbulloo Mangoes approximate location marked in yellow and below. Tiong's also have interests in the cattle and grazing industry in the Northern Territory and the southern state of Victoria. 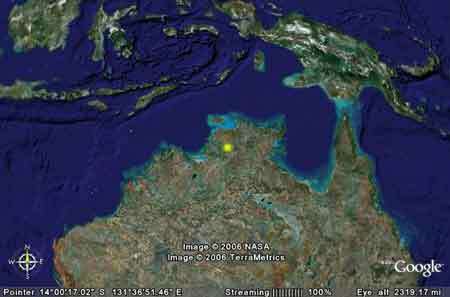 The Northern Territory operations are centred at the Jindare property located about 30 km south west of Pine Creek. 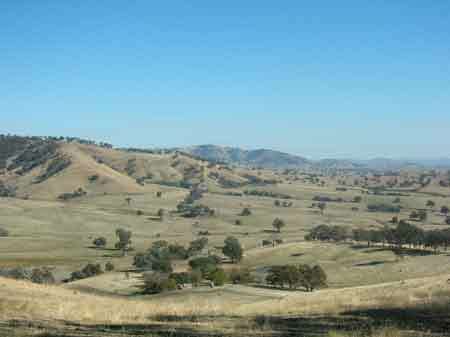 Jindare is a vast grazing property located in the Daly River catchment that is owned through Taimatsu (Australia) Pty Ltd by Chiong Ong Tiong, Hiew King Tiong and Ik King Tiong. The company has been owned by the Tiongs' since 1980. 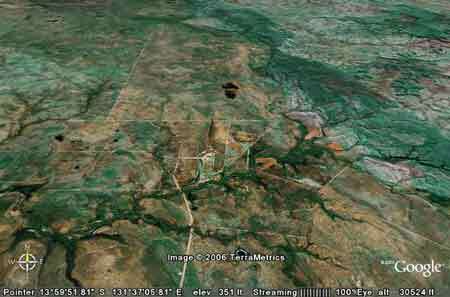 Jindare Station located south west of Pine Creek (Northern Territory) and below. 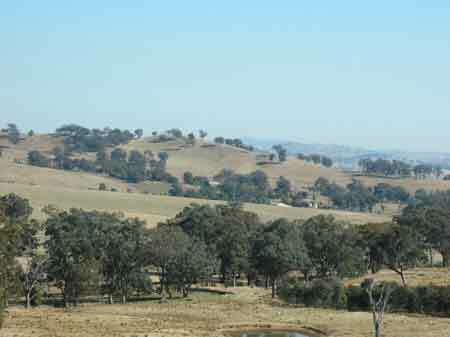 In Victoria, cattle interests are centred at properties located on approximately 300 hectares of land south of the town of Talgano in the states' North East. 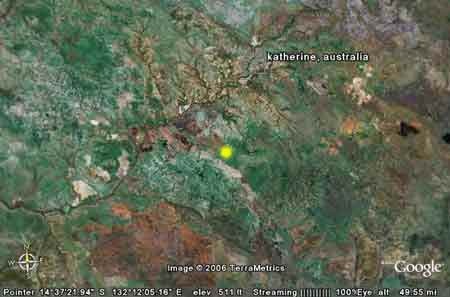 These properties are controlled through the Albury based Oztrust Grazing Company Pty Ltd. Oztrust is controlled by King Tiong Kew, Chiong Koo Tiong and Choon Tiong. 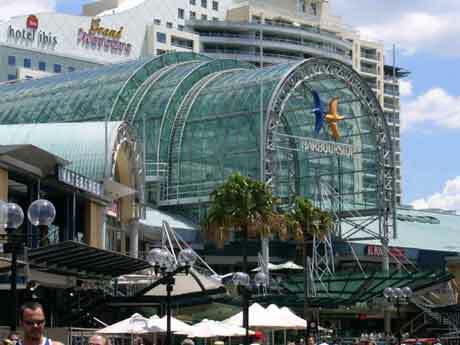 Another company with links to the Tiong's is Clipway Pty Ltd.
Update : Habourside Shopping Complex may be up for sale.The Habourside Shopping Complex at Darling Harbour in Sydney is the most high profile of the Tiong family investments in Australia. The Harbourside provides the perfect site for activists to target in peaceful actions protesting the unnecessary destruction of tropical rainforests and the appalling social, environmental and human rights records of companies like Rimbunan Hijau. Tiong (Thomas) and Chan own a string of interlocking companies. Tiong is the senior partner and the wealthier of the two. His Australian wealth was built on timber interests in Malaysia. The combined wealth of Tiong and Chan is estimated at $270 million. In 1992 they paid $200 million for Brisbane's Myer Centre and later $32 million for the Broadway in the Mall shopping arcade. 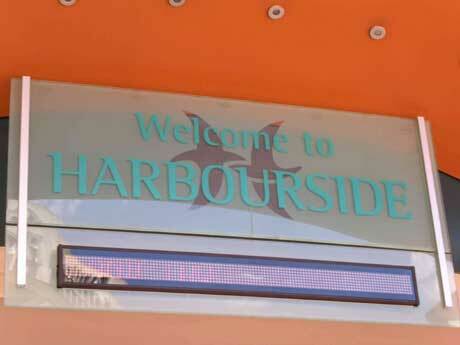 They also own the Harbourside shopping complex in Sydney's Darling harbour, which they bought for $111million. In 1998 they sold the Myer Centre (profit $171 million) and in 1999, Broadway on the Mall. Tiong and Chan are Australia's leading producers of mangos with plantations in Qld (Burdekin region) and NT (near Katherine) that supply 10% of Australia's total crop. Other Tiong family interests include; Westby Pty Ltd (based in the Northern Territory and ultimately controlled through Taimatsu (Australia). Asa-Hi Computer Systems (Kiu King Tiong was a director until 1999). Individuals associated with companies associated with the Tiong's in Australia include; Kiu King Tiong (Thomas), Kar Wai Chan, Hiew King Tiong, Thai King Tiong, Kiong King Tiong, Ik King Tiong, Lay Puay Ho, Mee See Wong, Chiong Ong Tiong, Al Ling Tiong, Wee Huong ABC Ting, Hugh Fairley and Aaron Tieng Sii Ting.